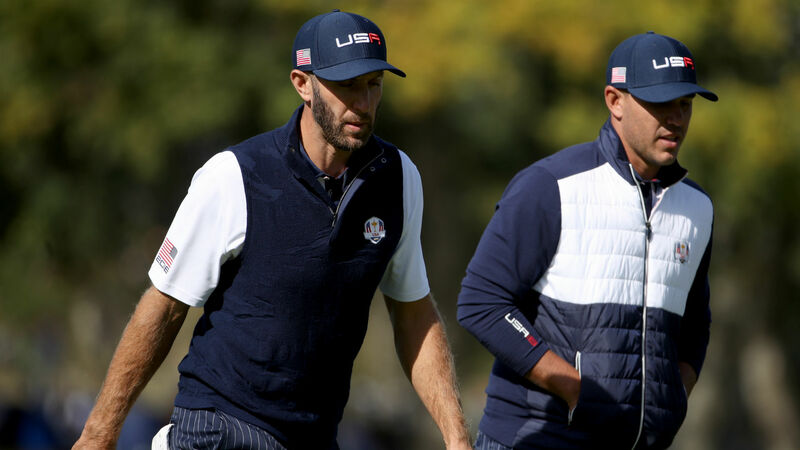 Brooks Koepka and Dustin Johnson got into a spat Sunday night after the Europe team won the Ryder Cup. According to The Telegraph, the two were at a party with the European Ryder Cup team when the fight occurred and they had to be separated. It’s unclear what the fight was about, although an unidentified source told Golf Digest that Johnson’s fiancee, Paulina Gretzky, and Koepka’s girlfriend, Jena Sims, were involved. Koepka and Johnson are known to be good friends and workout partners. The two were paired together during Saturday’s outing, losing to Justin Rose and Henrik Stenson. It’s the second time discord has been reported from the American side at the Ryder Cup. Patrick Reed told reporters he was upset that he was split from Jordan Spieth, calling out Spieth and Jim Furyk.